Microids has announced the release date for Asterix & Obelix XXL2 in North America. Asterix & Obelix XXL2 will be out on the Nintendo Switch eShop on November 29, 2018. Although the special edition isn’t heading to the Americas, a retail release is in the cards, which we will hear more in the future. The remastered action/adventure game Asterix & Obelix XXL2 is set for release, in digital only for North America on Nintendo eShop, PlayStation Store, Microsoft Store (Xbox One) and Steam on November 29th. 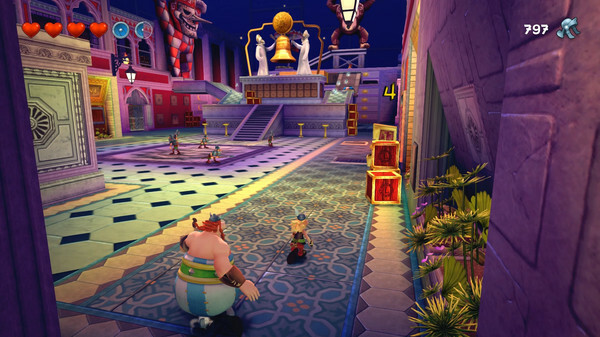 New screenshots have been released, offering a glimpse of the game’s improved graphics and new features! Asterix & Obelix XXL2 will be available in digital on PlayStation store, Microsoft Store (Xbox One), Nintendo eShop and Steam on November 29th. A retail version will be announced soon for North America.